A few weeks ago, we were approached by friends about adopting their cat. They told us Mr. Whiskers enjoyed being outside and thought he would be a great barn cat for us. We agreed to take him, hoping he would help to eliminate mice around the barn. To our surprise he has really taken to the bottle lambs we currently have. 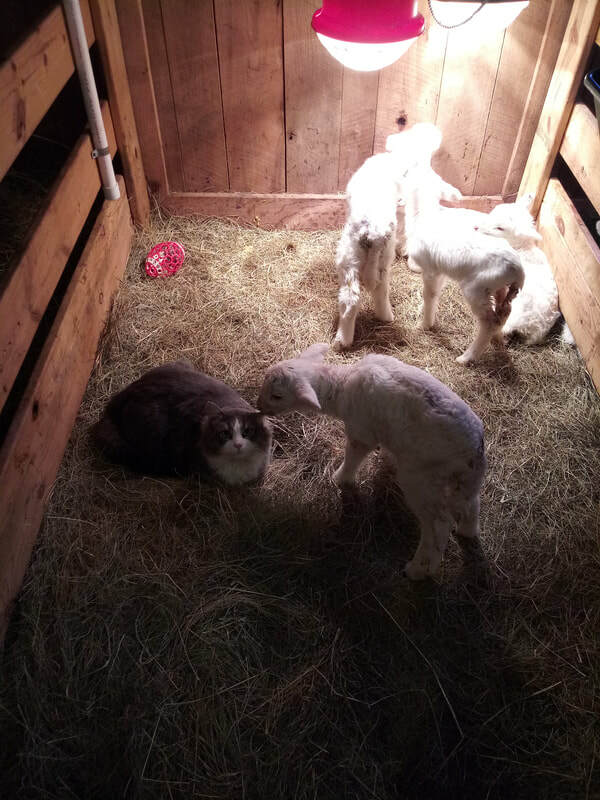 He is frequently found in the pen relaxing near the heat lamp with the lambs.